Back on the Market due to Buyers' financing. 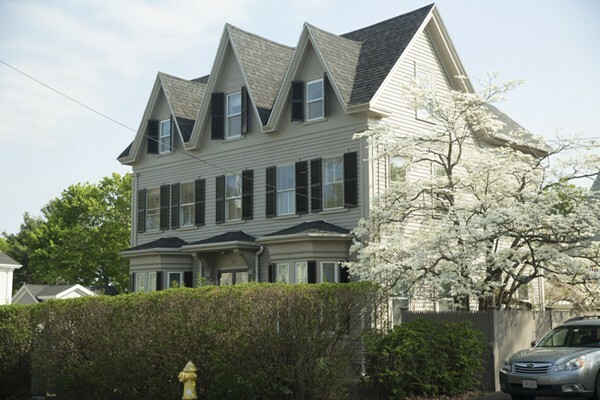 This handsome Victorian in the heart of East Gloucester is currently set up as a two family, but could easily be converted back to a single family. The first floor has two bedrooms, its own parking and deck. The larger upper unit has three to four bedrooms and two full baths and it has access to the garage plus a cozy deck with pergola overlooking the mature landscaping and gardens. Easily converted back to a single family, the home would have four or more bedrooms and three full baths as a single. Newer roof, windows and paint. The seller is only its second owner. Located a couple of blocks from East Gloucester School and just over a mile to the footbridge at Good Harbor Beach and only a half mile to the Gloucester Stage Company.